The Doctors And Staff At Our Practice Care About Your Feedback! We invite you to complete our built-in Customer Satisfaction Survey on our Contact page. This handy form includes a collection of questions designed to allow you to have your say while providing us with valuable input on how we can improve. In order to write a review on Google you will need a Gmail account. Gmail is a free email service provided by Google. It provides everything you need to read, compose and organize your emails online. It is easy to set up a Gmail account. Go to http://www.gmail.com and click the "Create an account >>" button. You will be shown a sign up page. Enter your first and last name. Enter a desired login name which will be your new email address. Click on the "check availability" button. If it is available, it's yours. If not, choose a different one. Enter a password and a security question and type in the answer. Click on the "I accept. Create my account" button. Then click on the "Show me my account" button. Now you can write a review of our practice on Google. Click the Google icon at the top of each of our pages. On our Google page you can rate us with "stars" or scroll down and choose "Rate and Review" to provide a more detailed review. To review us in Yelp! 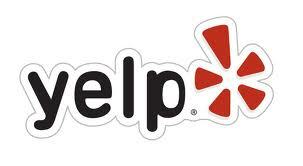 visit Yelp.com and search for our practice. Once you find our profile, select the red and yellow "Write a Review" button. Next choose the number of "stars" you would like to assign to your experience and then enter your review text. Select "Sign up and Post" to continue. At this point if you already have a Yelp! account you can login. If you don't have an account you can get a free one. You will be prompted to enter your name, email address a password and a few other fields. Submit this information a profile photo if you with (you can choose to Skip this Step if you don't want to include a photo). You will receive an email asking you to confirm your email address by clicking a link embedded in the message. You will now have the opportunity to check your review before posting. Once you are ready click Post (or Cancel if you've changed your mind) and you are done!